Do you feel at loss at times when looking at the array of products in the grocery store???? I was in the grocery store the other day picking up some light soy sauce and as I was searching for it, I could help noticing all the other stuff in that area: Mirin, tamari, oyster sauce, fish sauce. What do you do with all those things???? I need to educate myself, is what came to me. So next time I go to a bookstore, i will have a to buy a cookbook on Asian Cuisine. I guess I could have left those items on the shelf until I knew how to use them, but woman of curiosity that I am, I had to take them home and tried them. So even though I had no idea how I was going to use those things, I decided to take them home. Once home, I tried them one by one. That’s when I thought that a few of them together would probably taste great. And they did. YUM!!!! Ingredients for 4-6 people: 2 tbsp of toasted sesame seed oil, 2 scallions cleaned and diced thinly, 1 red bell pepper cleaned and sliced in small short strips, 1 bock choy chopped small as well, 1 cup of tiny carrots, 1 cup of broccoli florets, 1 box of shitake mushrroms cleaned and sliced thinly, 12 scallops (3 scallops per person), salt and pepper, 4 tbsp of tamari, 4 tbsp of mirim, 4 tbsp of water, 1/2 tsp of grated fresh ginger. Place the carrots in the round mold, cover the mold with the octogonal silpat and cook for 3 minutes. Set them aside for later use. 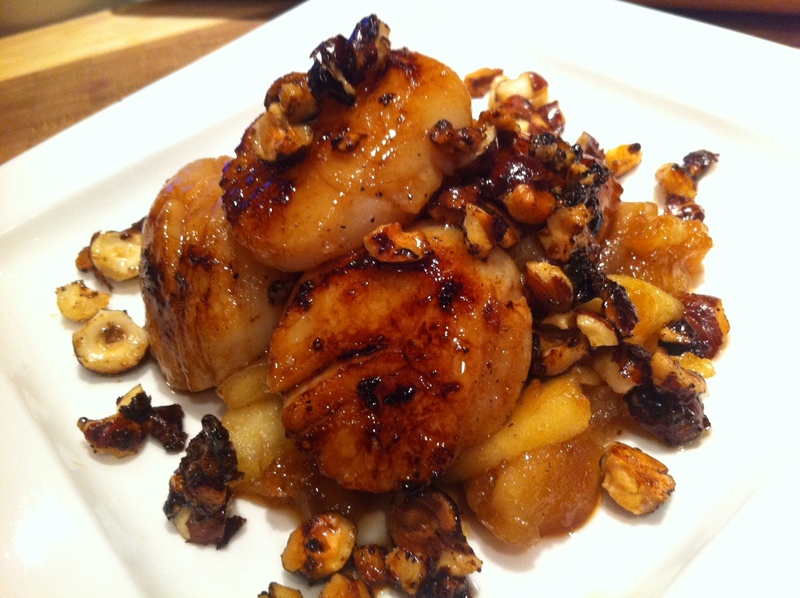 Wash off the scallops and dry them up with a paper towel. Set them aside. In a large saute pan, warm up 1 tbsp of sesame oil. 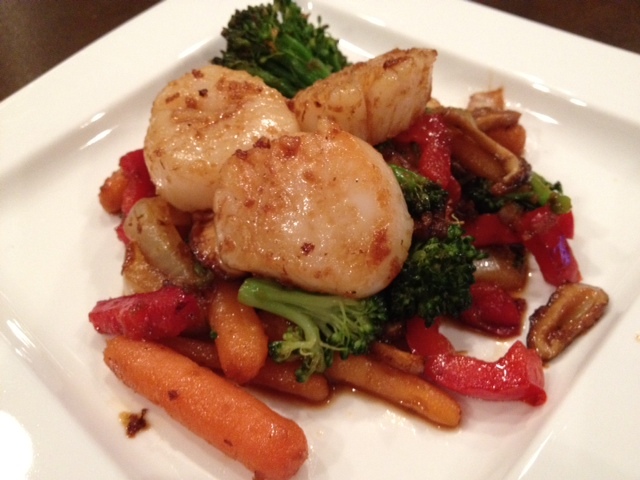 When the oil is sizzling and hot, drop the scallops and saute them for a short minute on each side just enough so that they will become a light golden color. Remove them from the saute pan, and place them onto a warm plate and cover them with aluminium foil to keep them warm. Add the other tablespoon of sesame oil in the pan and heat it up. When it is warm and sizzling again, add all the vegetables including the carrots. 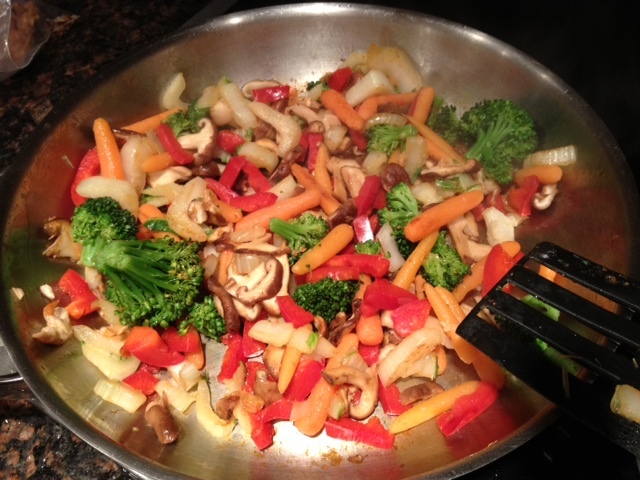 Saute the vegetables for a few minutes. Add the mirin, the tamari, the ginger, and the 4 tbsp of water and bring to boil. When it has come to boil, cook for about 5 minutes or until the vegetables are cooked to your liking. 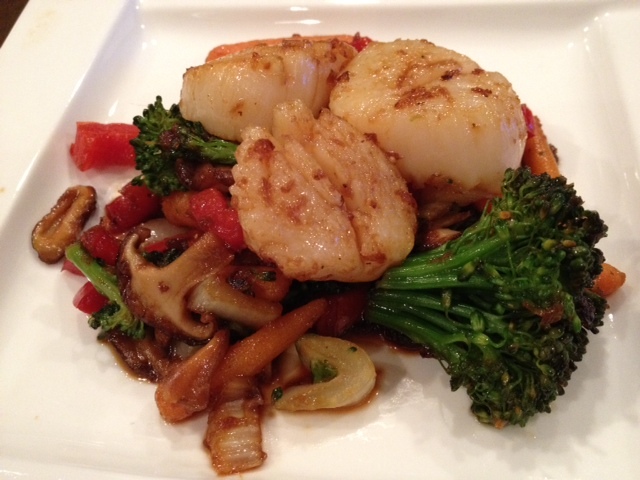 Add the scallops and cook them for a few extra minutes. Et voila!!! If you wish NOT to saute the vegetables. You may place all the vegetables in the round mold and cook them for 3 minutes. Then you can place the vegetables in the saute pan, add the tamari, the ginger, water and the mirim and bring it to boil. 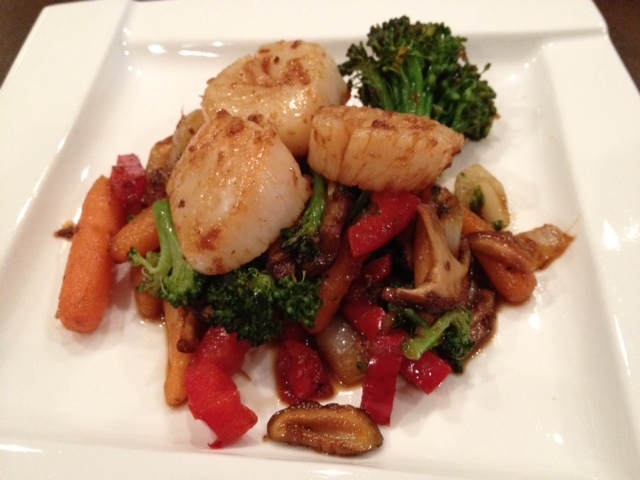 To serve, spoon the vegetables on each plate and top the vegetables with the scallops. You may also add some rice to that meal. You may cook the rice according to directions, or cook in much faster in the round mold. Ingredients for the rice for 4 people: 1 cup of texmati ( or American Basmati Rice), 2 cups of water, 1/8 tsp of salt. 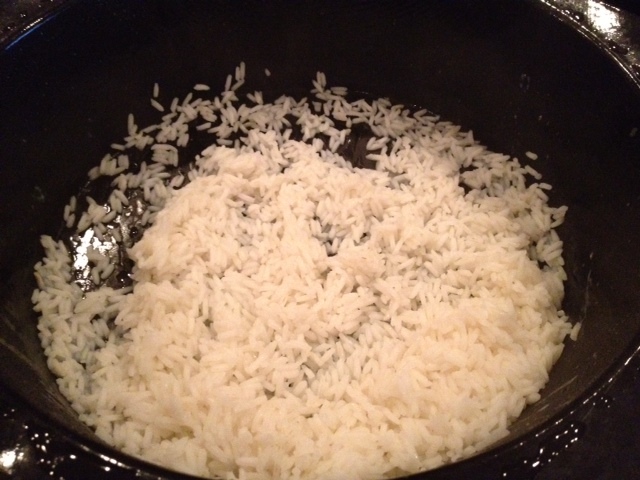 Place the 1 cup of rice with the water and the salt in the round mold. Cover the round mold with the octogonal silpat and cook for 12-13 minutes. C’est tout!